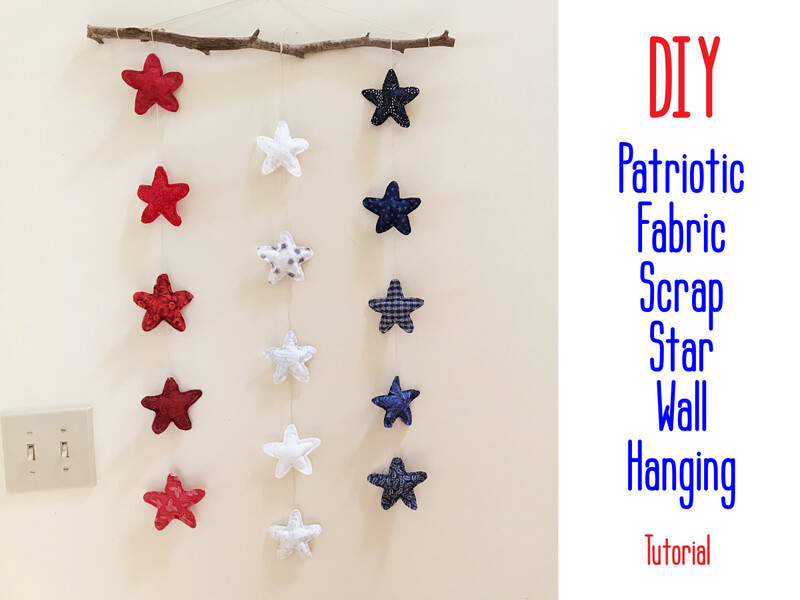 Make a DIY Decoration for the Festivities! Around the end of May, I start transitioning my spring decorative accents out and start bringing in the colors of summer. In addition to the bright colors I associate with this time of year, I also like to incorporate reds, whites, and blues to add a patriotic touch. 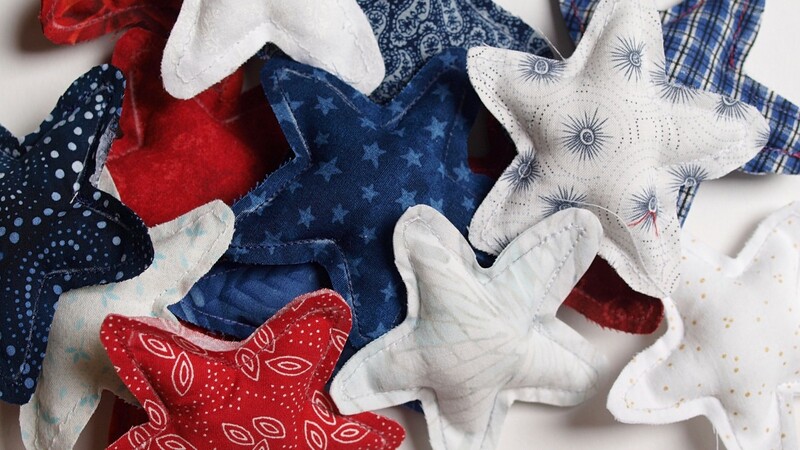 After all, the most patriotic holidays in the United States fall in the summer months, and they tend to bring out the stars and stripes in all of us. If you are looking for a new decoration to add to your collection, this wall hanging is just the project for you. It is perfect for anyone who has a big collection of fabrics or a box full of fabric scraps. The stick hanger and twine give the project a rustic touch. Crafters will probably have most of the supplies needed. If not, everything is easily found at a local craft store. One of the best things about this project is that it can be made in an afternoon. This wall hanging measures approximately 21" wide by 32" long (not including the string for hanging). The star template used was 3" from point to point. Please note that the size can vary depending on the size of the star template as well as personal preference. All measurements referenced in this tutorial are based on these sizes. The fabric used was 100% cotton. This festive wall hanging adds a decorative touch to any room and fits in with almost any decor. Here are the easy-to-follow directions. Enjoy! 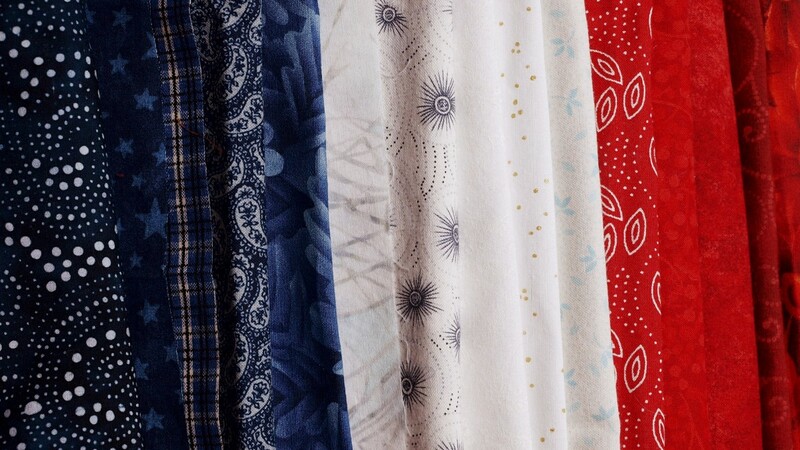 One of the most fun parts of this project is picking out the fabrics. Choose five of each color, trying to mix up patterns and hues for added visual interest. The pieces should be large enough to fold over, press, and have room for the template as well as cutting allowance. Take one of the fabrics, fold the piece in half wrong sides together, and press. Set aside and continue doing this with the rest of the fabric. Using your template and a marking pencil of your choice, trace around the outside of the template onto the fabric. Use a marking pencil whose marks are easily removed, either by water or gently wiping away. 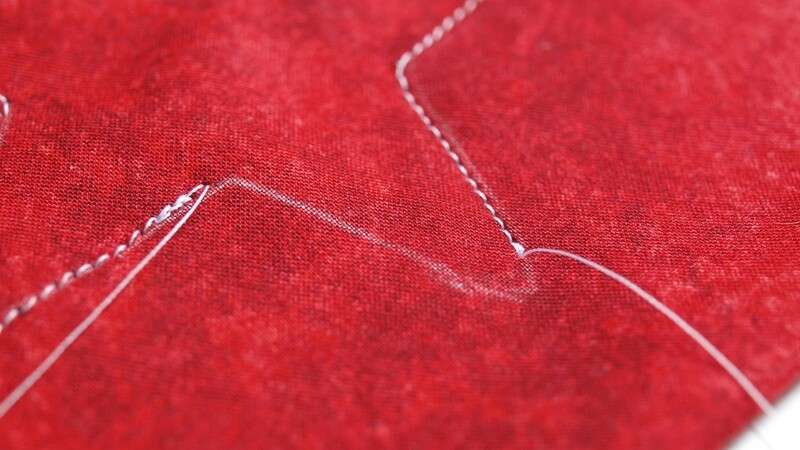 Sew around the shape, using the trace marks as your guidelines. 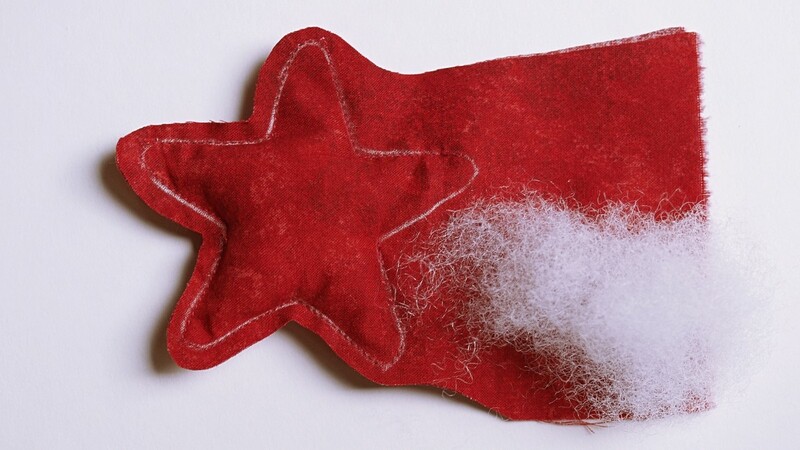 Leave enough space unsewn so you can add the filling to the star. It will be sewn closed later. Begin and end with a backstitch to ensure that the stitches don't get pulled out when you add the filling. Leaving about 1/4" of fabric around the sewing line, trim away the excess fabric. 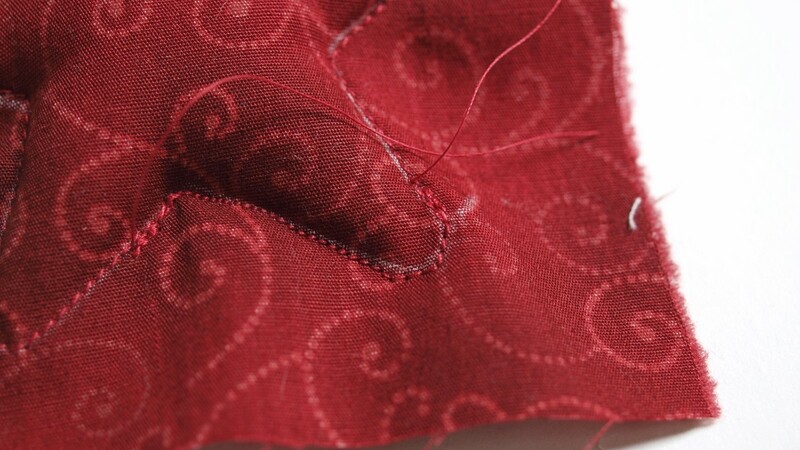 To make it easier to fill and sew shut later, don't trim around the opening. 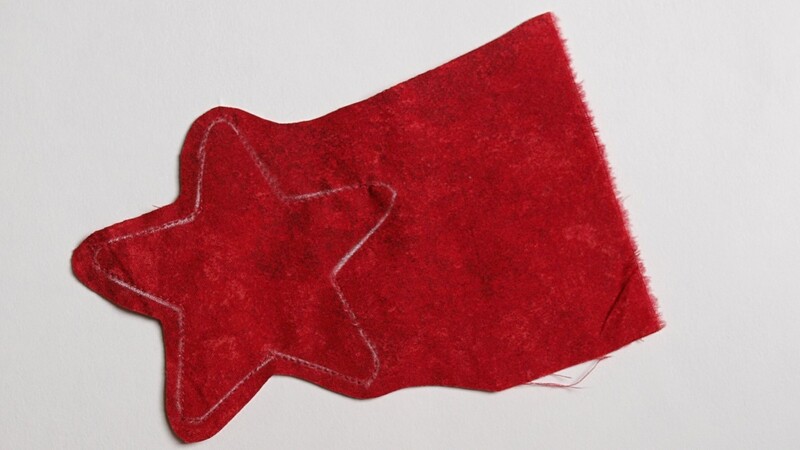 Using a little at a time, add a scant handful of fiber fill to the stars. Use the blunt end of a pencil to get it into the points. You don't want to add too much filling as the star may be too puffy, but it is a matter of preference. Too much filler makes the project harder to sew closed. Finish filling all of the stars. Try not to let too much filling stick out of the opening. Otherwise, it will get stuck in the seam. Sew the opening closed. Begin and end with a backstitch. The stitching doesn't have to be perfect. You won't notice it once the piece is hanging on the wall. 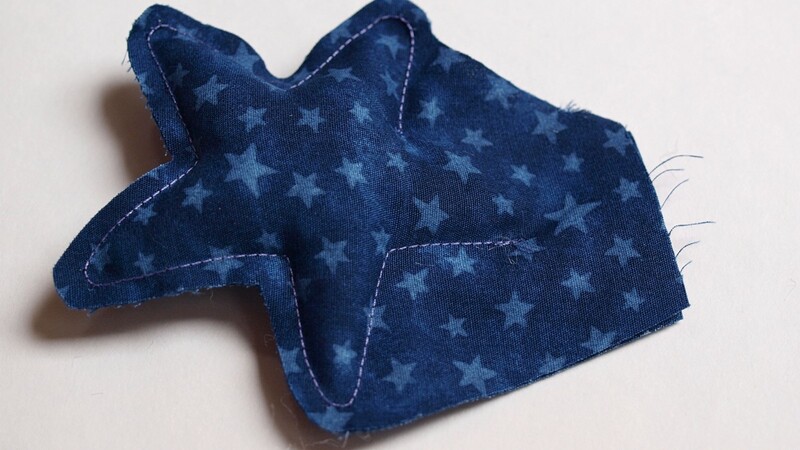 Once sewn, trim off the remaining fabric from the star, leaving about 1/4" of fabric around the edges. Get a clean and straight stick from your yard. 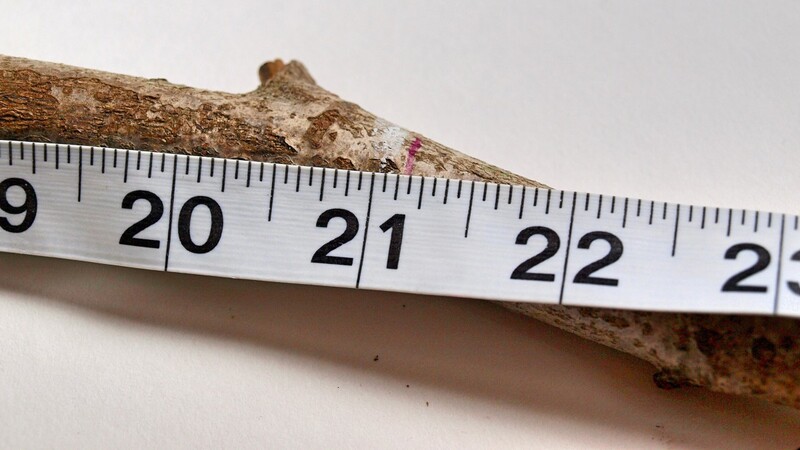 Otherwise, if you prefer, use a dowel from the hardware store. Trim it to 21 inches. If you would like, you can sand the trimmed edges or even seal the stick with some sealer. The only thing done to the stick for this wall hanging was trimming it to size. 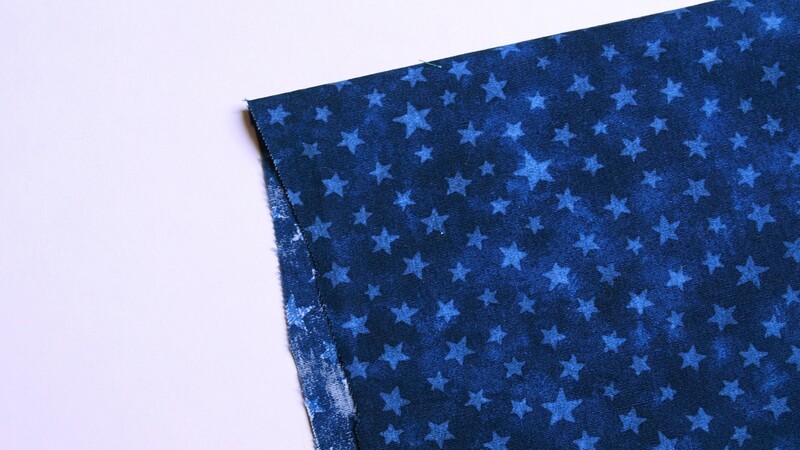 Before beginning to assemble the stars, try them out in different layouts. Choose which one you like. Leave them there and prepare to string them together. 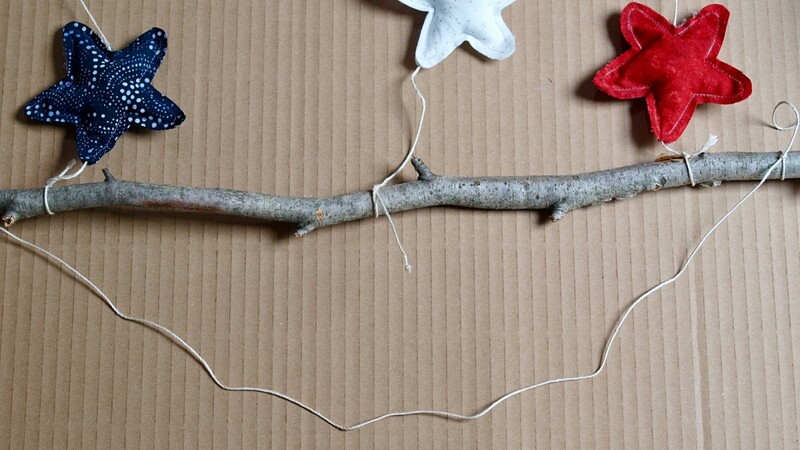 Two of the shorter 33" pieces of twine are for the red and the blue stars, and the 37" piece is for the white stars. Tie a knot at the very bottom of the piece of twine. 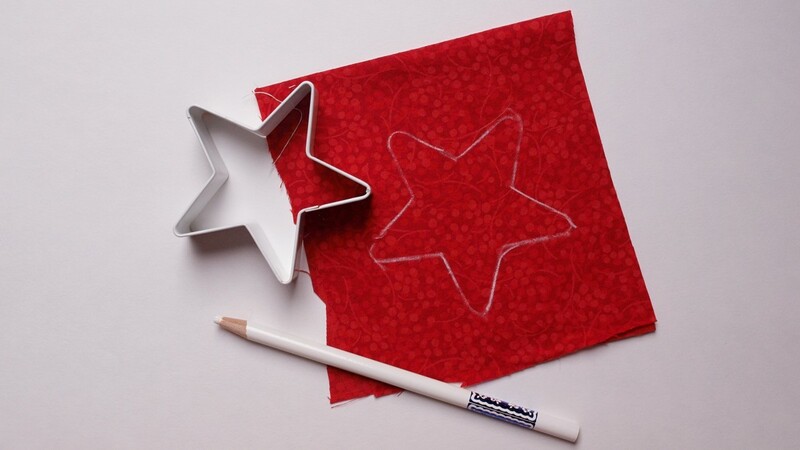 Using a yarn needle that has a big enough eye for the twine, thread the stars onto the twine. The knot will be at the bottom of the chain of stars so keep that in mind when threading them. Insert the needle in between the fabric pieces in the center of the bottom of the star. Feed it through to the top center of the star point, keeping the needle in between the fabric pieces. Continue until all five stars are on the twine. Repeat with the other two colors so you have three chains of stars, one red, one white, and one blue. Tie the top of each chain to the stick, centering the chains so they are evenly spaced. Move the stars up and down on the twine until you are happy with all of the placements. 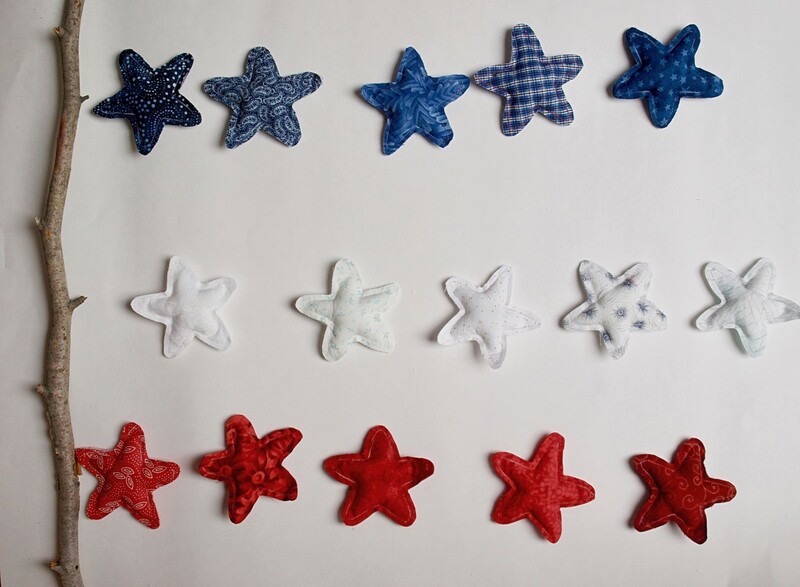 For this wall hanging, the red and blue stars are offset with the white ones to add a bit of interest. 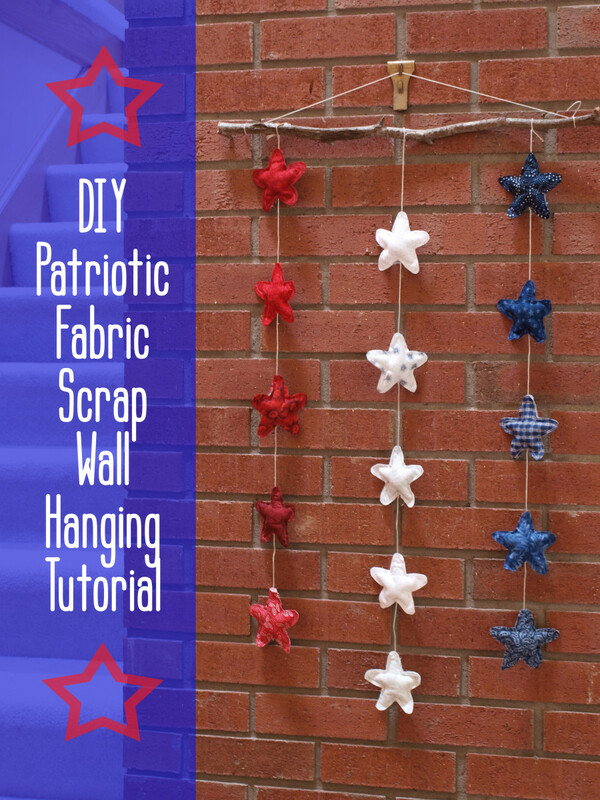 Once you have everything adjusted to your liking, add a small dab of glue to the bottom of each star so it won't slip down the twine after the wall hanging is on the wall. 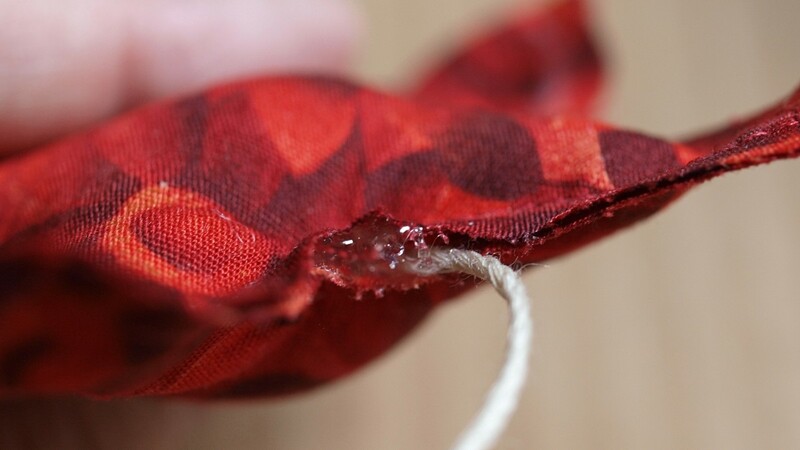 Try to add the glue in between the two pieces of fabric where the twine was inserted so it's not so visible. Do this step on a protected surface because the glue can drip and ruin furniture. You can use a hot glue gun here or regular fabric glue that dries clear. 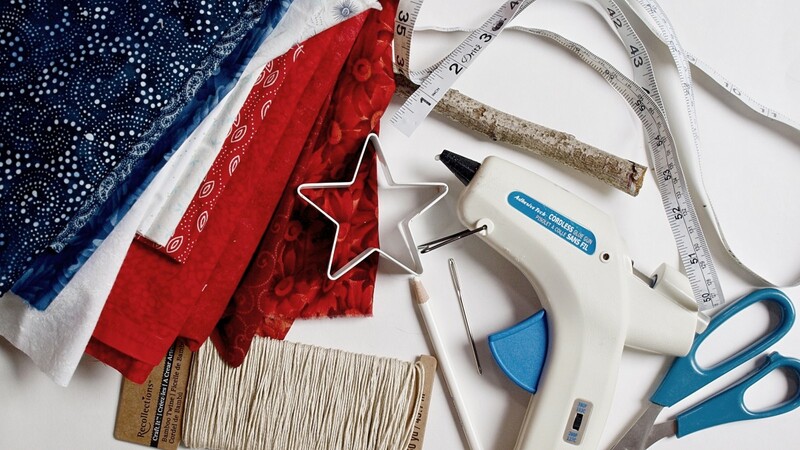 A glue gun will set more quickly, but it gets really hot so use caution. 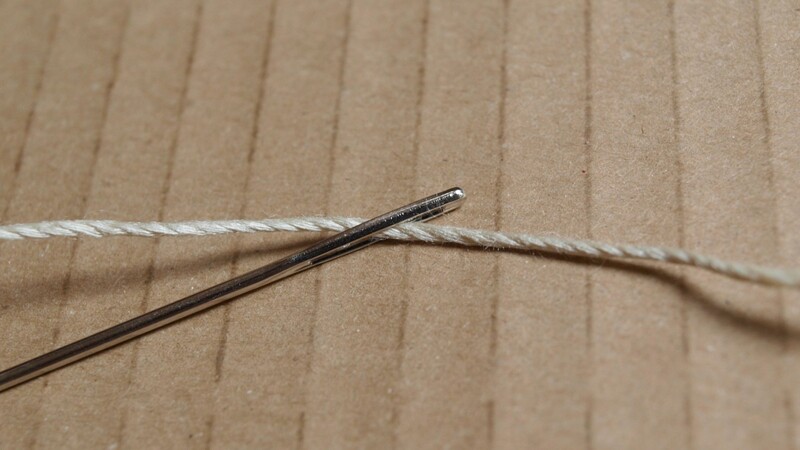 Using the remaining 33" piece of twine, tie the ends to the edges of the stick. You can make this as long or as short as you'd like, depending on where you will be hanging the piece. You Have the Finished Product! All you need to do now is find the prefect spot for your wall hanging and wait for the compliments to start rolling in when your friends see what you've made. Thanks so much Natalie. Your idea sounds lovely, maybe in some pretty pastels. It's an easy project so you'll be done in no time. How cute! I may try to adapt this a bit for a crib mobile for a friend who just had a baby! Thanks for the idea. It will be a great summer project. Thank you Carolyn. 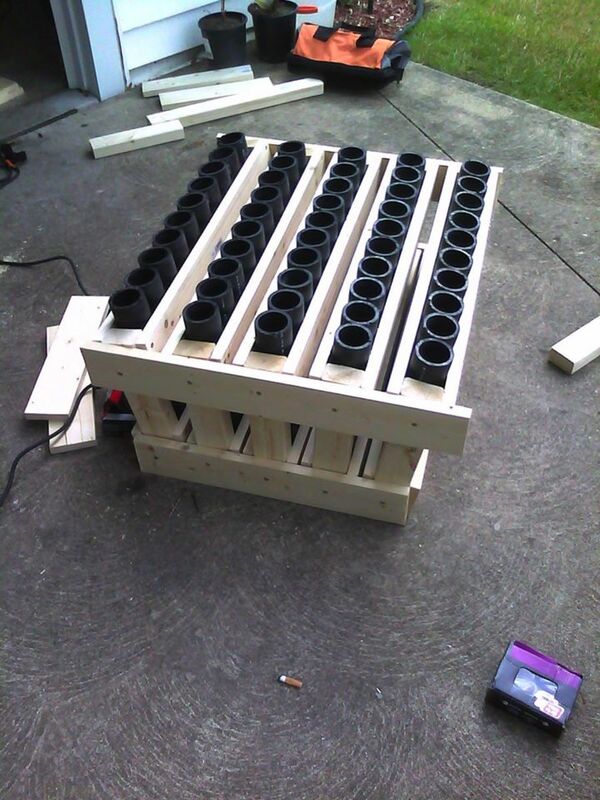 I love projects like this for rainy days in the summer when I can't get outside. Glad you enjoyed it. Thanks Donna! I'm really happy with the way it turned out. I'm trying to use up more fabric scraps because my hobby room is overflowing. Hope you are enjoying your summer. I love this project, Claudia! I particularly like the use of the rustic twig with your scrap fabric. 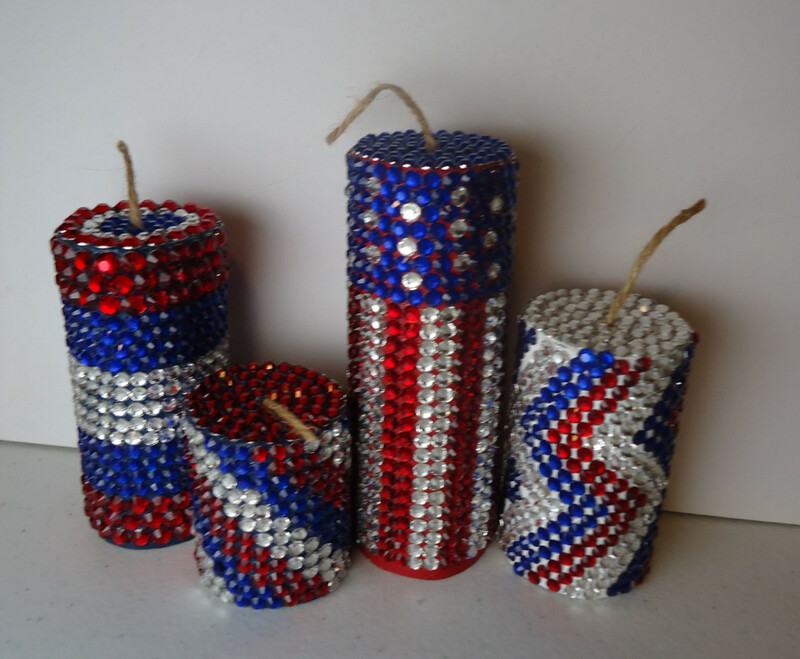 This is perfect for a patriotic summer celebration!